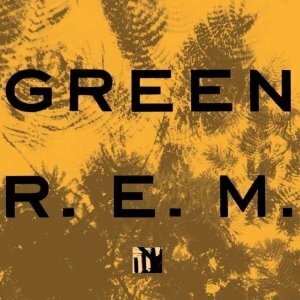 In revisiting Green, I have to remove myself from the R.E.M.-worshiper that I was in the ’80’s; I was younger and a bit more crassly idealistic. Having not cared for Document, the 1987 monster hit album, I fully expected to not like Green, which was the case. However, this isn’t 1988 and I’m not that same younger man. While I still don’t like Document, I do think time has been more favorable to Green. There are stronger songs on this album; it holds together far more cohesively than its predecessor. More importantly, over the years, there are songs on Green that I genuinely like and enjoy hearing again. I’ll start with my personal favorite from this collection, the exquisite “Get Up”. Catchy, well-crafted, melodic with a wonderful chorus/counter-chorus; Stipe singing “dreams, they complicate my life” as Bill Berry responds with “dreams, they compliment my life” and a harmony on each bridge that reminds me of Pink Floyd’s “It Would Be So Nice”. “You Are The Everything” is one of R.E.M.’s loveliest ballads as Peter Buck’s mandolin makes its first appearance. “I Remember California” is oft-forgotten but a tense, tight number and the “untitled” final track is one of the sweetest songs, both musically and lyrically, R.E.M. ever committed to recorded tape (“this song is here to keep you strong…”). Yes, this album also includes the singles “Orange Crush”, “Pop Song ’89” and “Stand”, but that’s no reason to hold a 25 year grudge – at least not for me. The bonus live disc, “R.E.M. In Greenboro 1989” is strictly a memento for fans – a great reminder of how on top of their game R.E.M. were on during the “Green World Tour”. Worth the revisit – recommended.